A successful businessman, Mr. Chen Dahao is held in the highest esteem by China’s Government. 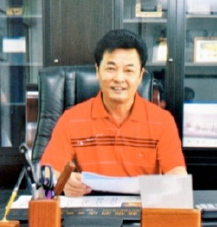 He is President of the Federation of Industry and Commerce – ShaoGuan, Guangdong Province, owner of Wahaha ShaoGuan Bottlers (China’s largest beverage producer), and also has other far ranging business interests across China. Mr. Chen owns companies with interests in food and beverage, manufacturing, transportation, restaurants, packaging, sustainable energy technology, import, export and property development. He is also a major owner of hotels and resorts together with entertainment facilities, focusing on high end Chinese consumers and is the Chairman and Owner of Wahaha – ShaoGuan Bottlers, Guangdong. Wahaha is China’s largest beverage producer and is the equivalent of the Coca-Cola and Pepsi companies in the western world. It is China’s most recognized consumer brand. Mr. Chen is President of the Federation of Industry and Commerce – ShaoGuan, Guangdong Province, which is China’s largest import and export manufacturing region, and one of China’s wealthiest provinces. During the peak of the global financial crisis in 2009, Mr. Chen showed his confidence in the future of China by investing further to add to his already substantial portfolio of Chinese hotels and resorts. He also co-invested with the Chinese Government’s Greater South China Region Tourism Project, which has been established to assist in driving the growth of domestic tourism in China. Mr. Chen has a strong sense of social responsibility and is a major contributor to charities involved with education, disabilities, aged care, youth and disaster relief. He has received many awards over the years for his outstanding contribution to China’s economic and social development.